Apple's announcement on Wednesday that its iCloud services in mainland China will be handed over to a Chinese company has already run into controversy, after it emerged that accounts registered overseas are being swept up in the migration. Apple said yesterday that customers based in China had been contacted and advised to examine new terms and conditions, which include a clause that both Apple and the Chinese firm will have access to all data stored on iCloud servers, which will be transferred from February 28. Customers living in mainland China who did not want to use iCloud operated by GCBD had been given the option to terminate their account. However, according to some users who spoke to TechCrunch, in the data to be handled by local partner Guizhou-Cloud Big Data (GCBD), Apple is including iCloud accounts that were opened in the U.S., are paid for using U.S. dollars, and/or are connected to U.S.-based App Store accounts. When asked for comment, Apple pointed to its terms and conditions site, which explains that it is migrating iCloud accounts based on the settings of the user's device, not where an iCloud account is registered or billed to. As it stands, this could result in thousands of users temporarily living in China to study or work having their data migrated to servers under the control of GCBD, which is owned by the Guizhou provincial government in southern China. The situation is said to have left many users feeling trapped into the migration, but one user has discovered an apparent opt-out. This involves switching an iCloud account back to China before signing out of all devices. The user then switches their iPhone and iCloud settings to the U.S., and after signing back into iCloud, their account should no longer be part of the migration. "What will Apple do when the Chinese authorities request a backdoor to access data that is encrypted?" Charlie Smith, founder of censorship monitoring site Great Fire, told TechCrunch. "Will they continue to adhere to local laws and regulations and submit to the request? Or are they leaving this decision squarely in the hands of GCBD, their local partner?" Updated: Apple says a very small number of customers whose Apple ID country is not China received this notice by mistake, as noted by TechCrunch. Apple says no changes have been made to these users' iCloud accounts. We are very sorry that you received this email. This email was intended only for customers whose Apple ID country is China. A very small number of our customers who Apple ID country is not China also received this email by mistake. No because that term isn't even remotely connected to China. It's 'Murican. Yes this is about $$$$$$ for Apple, but it's also about operating within the laws/regulations of another country. We talk about freedom this, freedom that, but we're lucky to be living in North America. Unfortunately for Apple, a foreign company operating in China, they have to follow the law of the land. It appears that going to http://www.icloud.com/optout/ and clicking the de-activate link will show this message if you are not affected by this change. 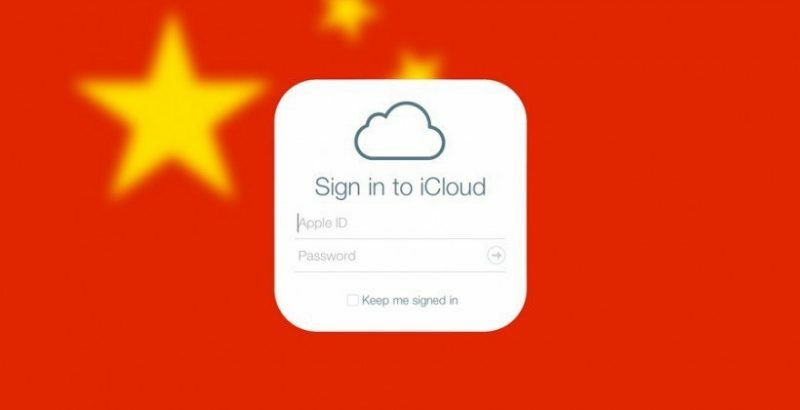 The country or region setting for your Apple ID associated with iCloud is not set to China. This website is only intended for iCloud users in China. Well at least they are informing their users the they are about to read all their data in the cloud. In America the govmnt uses secret programs like PRISM to spy on us and we don't find out until someone blows the whistle that our Fourth Admendment is being violated and then they have to flee the country for their lives. It seems Apple is all about privacy... except when it gets in the way of their profits. What are Google and Microsoft doing? It’s a sad situation that China feels the need to do this. Heavy handed government is never good for the people. I understand their want to keep citizens data on servers within China, but forcing to partner with a Chinese company sounds like a sly way to get into users cloud data. China is run by cowards.